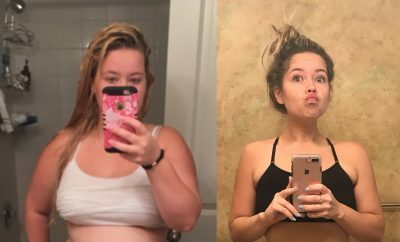 I had been overweight for most of my life, but it wasn’t until I saw photos from a family vacation that I decided to change my life. At 5 feet 7 inches tall, I weighed 240 pounds. I wanted to look and feel better about myself. I thought I ate a balanced diet, but I never really paid much attention. I had always eaten lots of vegetables, but cooked in oil or butter. Then I started reading labels and watching portion sizes to keep my calorie and fat intake low. I ate high-fat favorites in moderation instead of stuffing myself. Within a year, I’d lost 50 pounds. Then I hit a plateau and decided to start exercising. I’d worked out sporadically but didn’t have a routine. I realized that exercise would tone my body as I lost weight. I started walking or riding a stationary bike five days a week for 20 minutes, with enough intensity to get my heart rate up. The weight started coming off again. I tracked my progress with a pair of size 14 jeans. When I bought them they fit, but were extremely uncomfortable. When I reached my goal weight, they fit perfectly. Five years ago, I was diagnosed with multiple sclerosis, a chronic disease of the central nervous system that results in loss of muscle coordination. 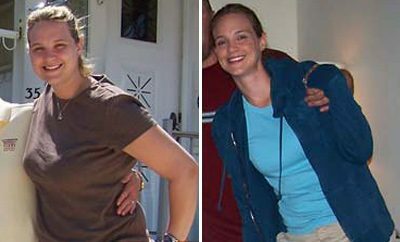 I was still 40 pounds from my ideal weight at the time, and I learned that the extra weight was even more burdensome since it made it harder for me to move. Now I had a much more important reason to lose those extra pounds. I continued to watch the amount of fat I consumed, but I had to change my exercise routine to accommodate my physical condition. Due to loss of movement, I couldn’t exercise as much as I wanted aerobically, so I concentrated on strength training to build my muscles. I reached my goal weight gradually over six months. About a year ago, I gained some weight, this time as muscle. Strength training has toned my body and kept my muscles strong, which has helped me move about more freely with my MS. I’ve found that swimming is the best total-body exercise for me because it has the least impact on my body. I’m in better shape now with MS than I was before I had it and weighed 240 pounds. When I meet people I haven’t seen in a while, they say, “You cut your hair!”I tell them, yes, I did, and I lost a lot of weight, too. 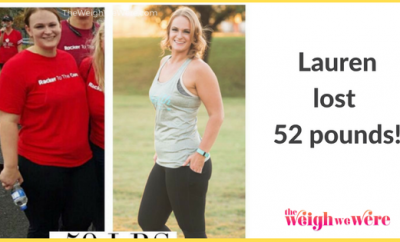 52 Pounds Lost: Change Your Mindset, Change Your Life!